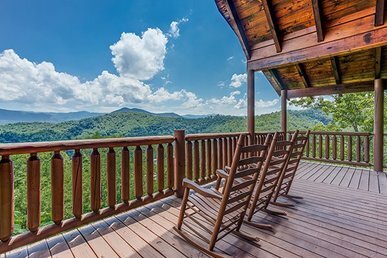 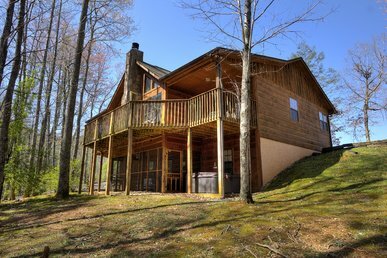 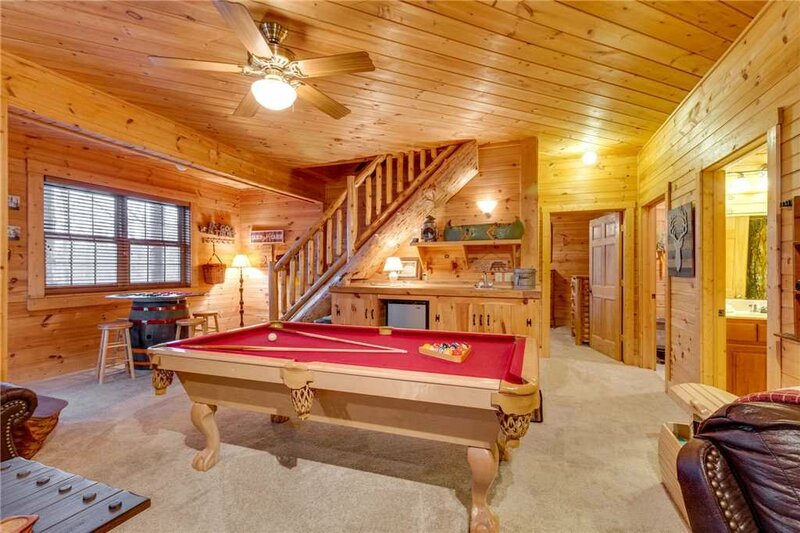 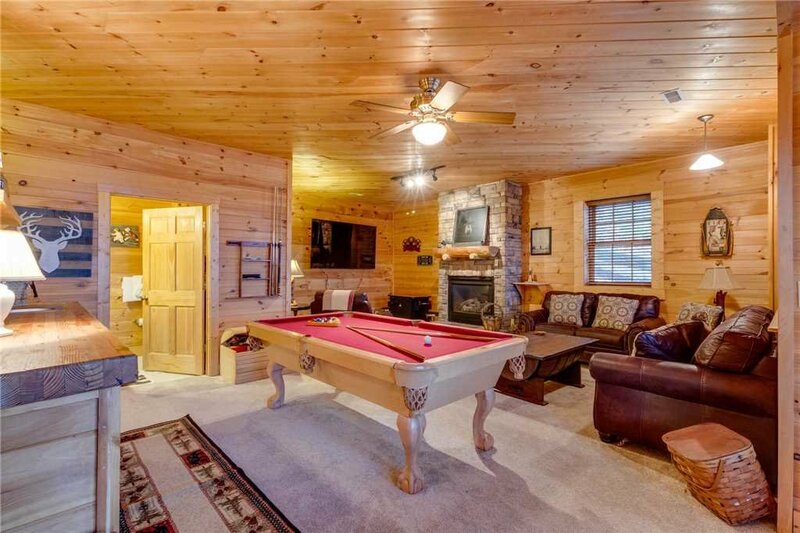 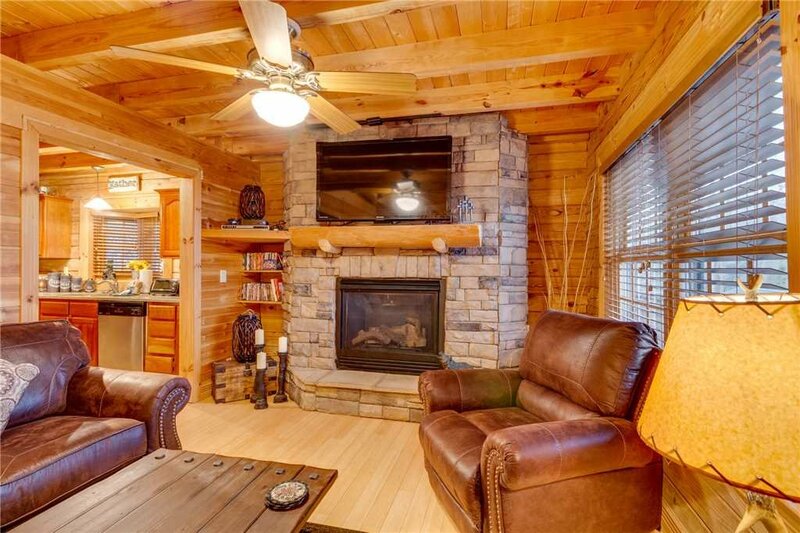 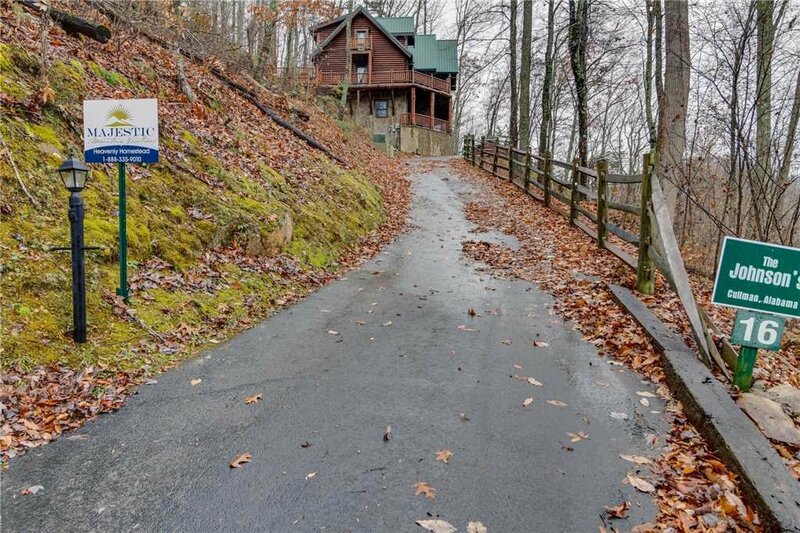 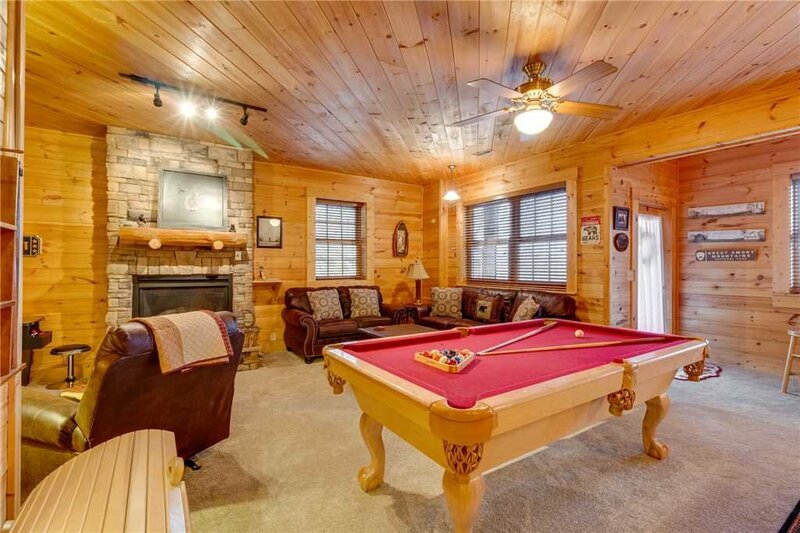 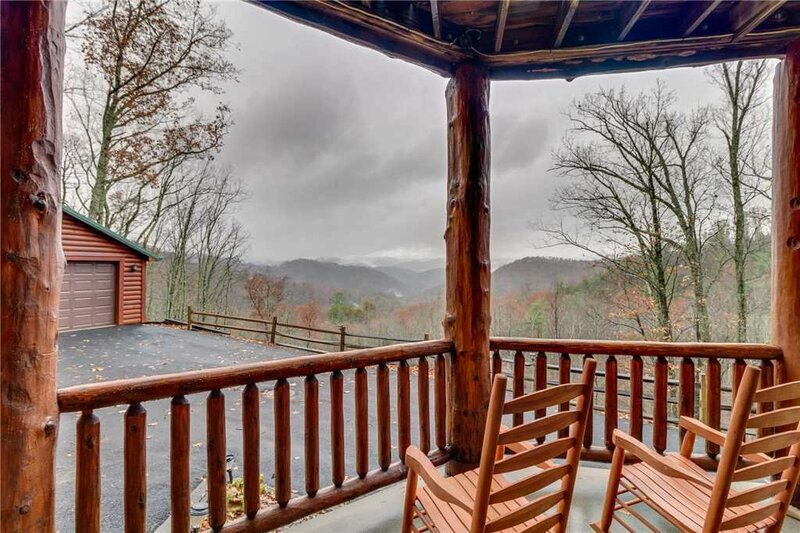 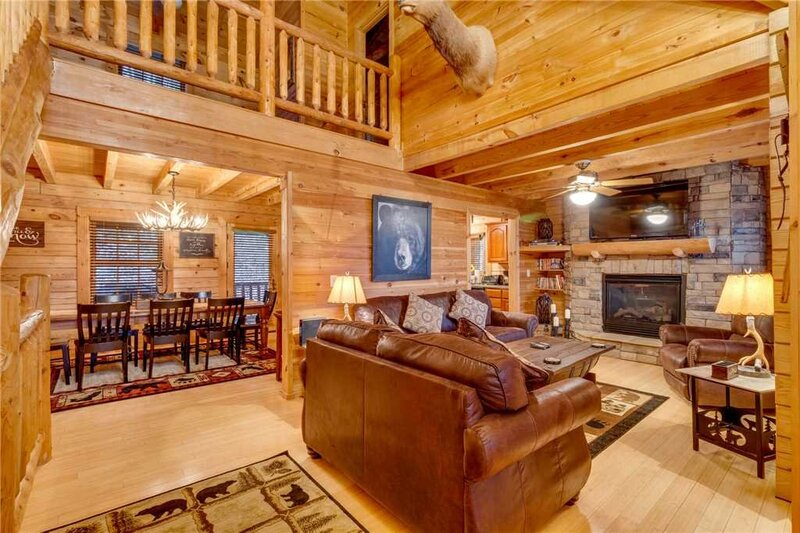 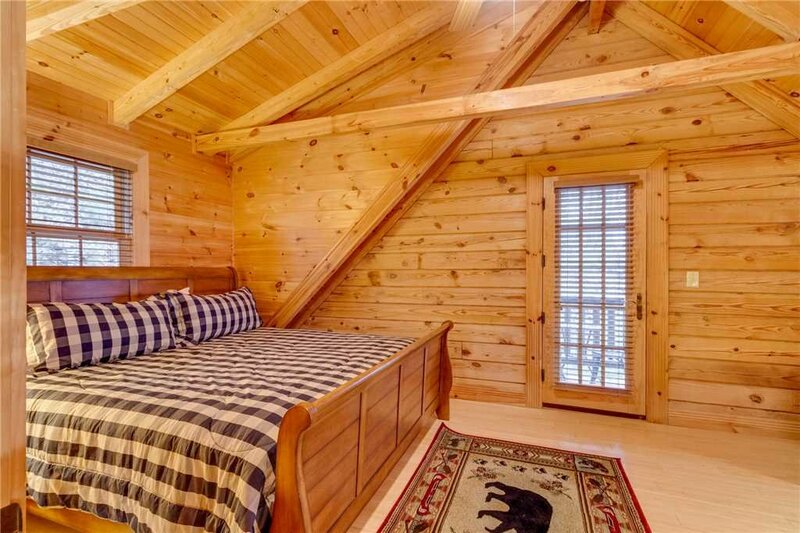 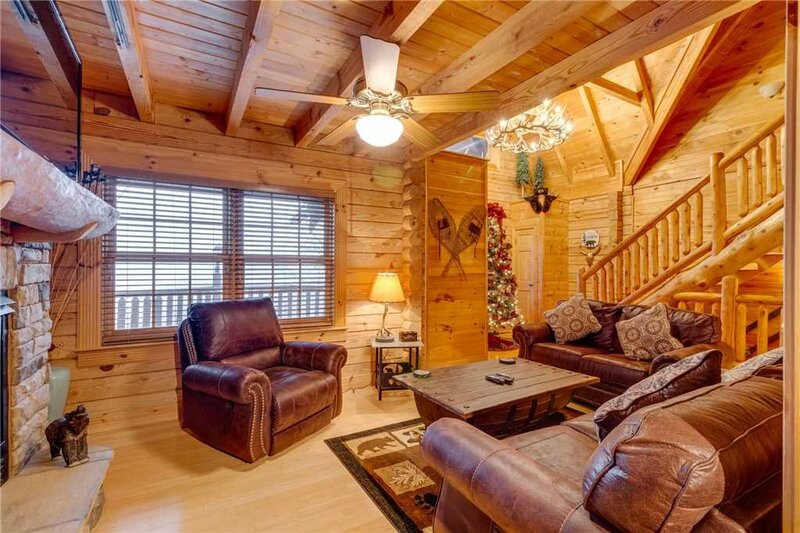 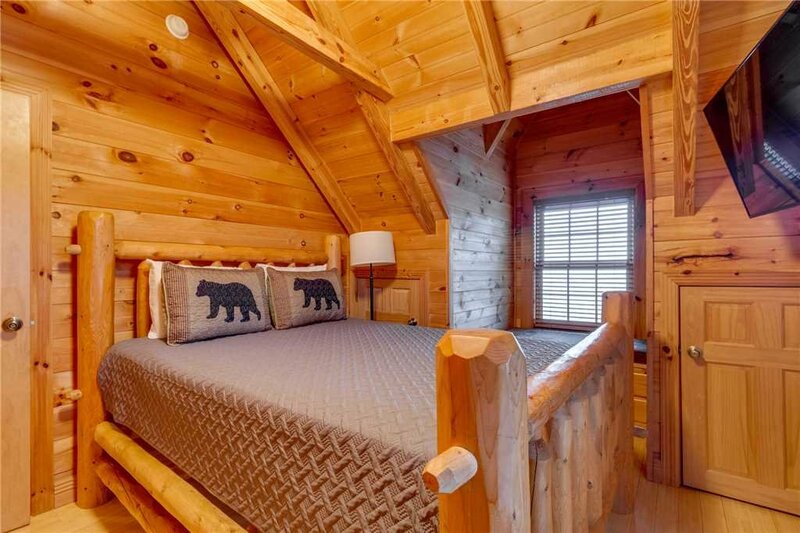 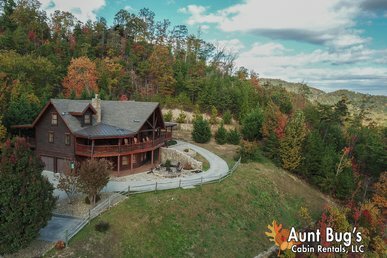 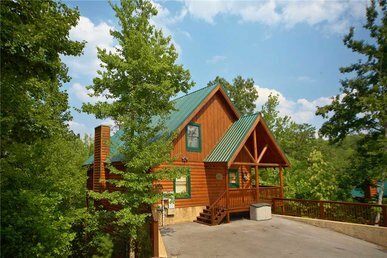 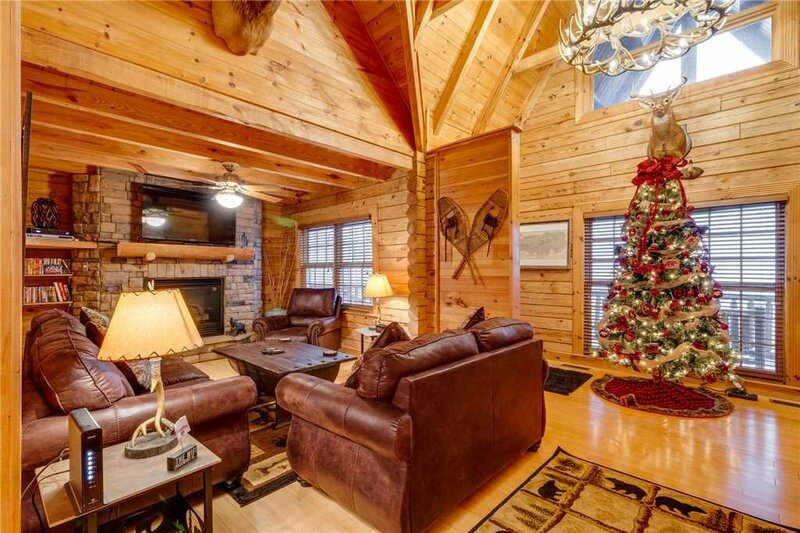 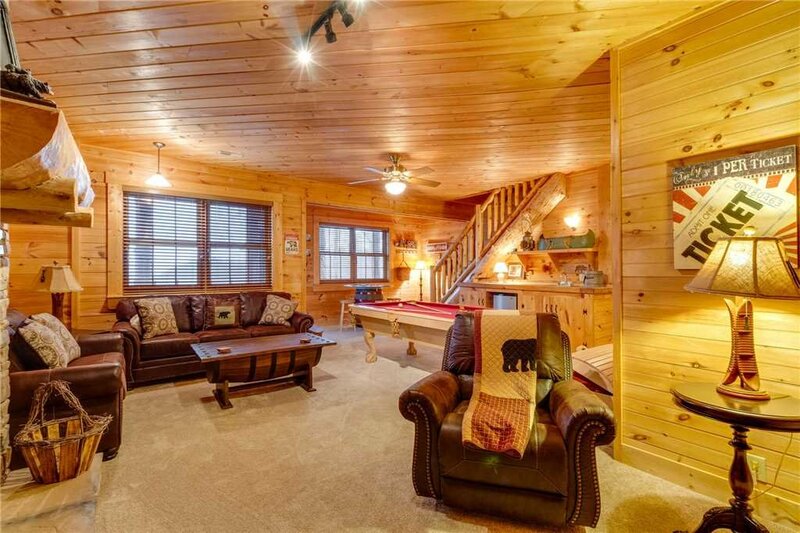 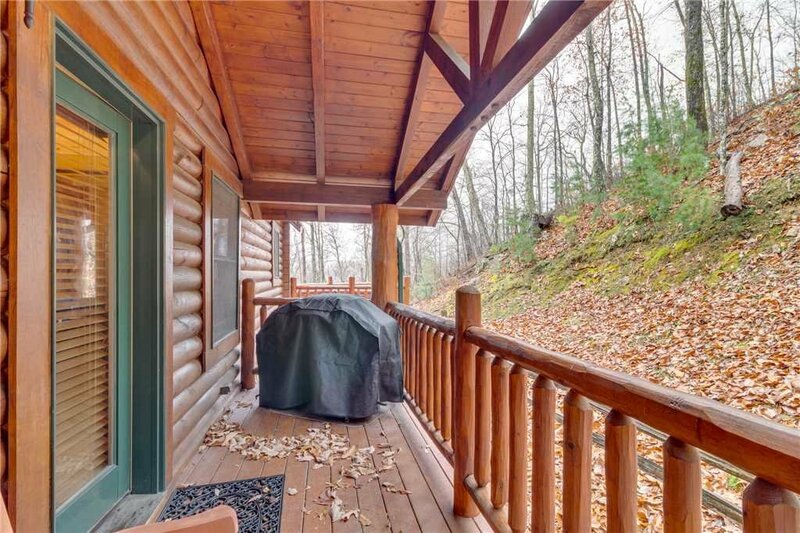 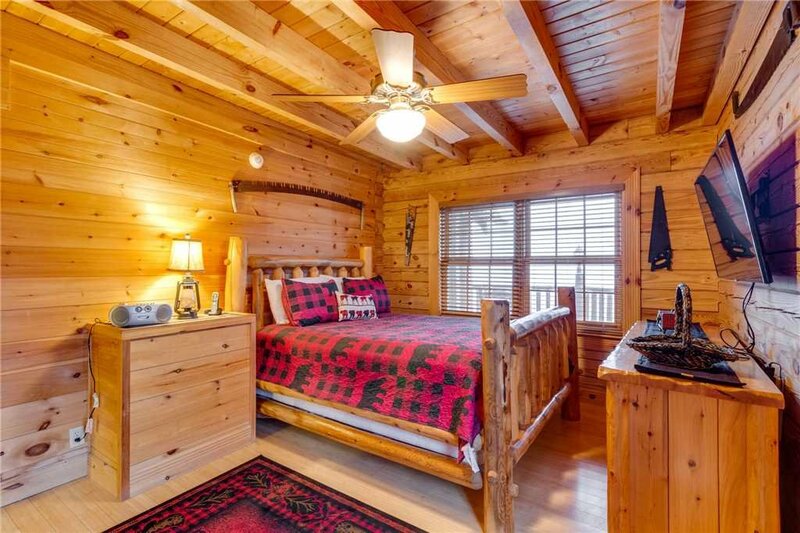 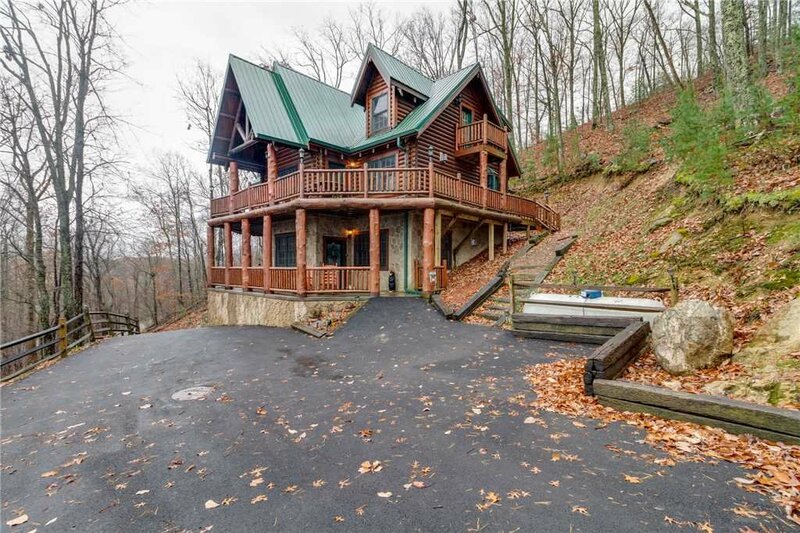 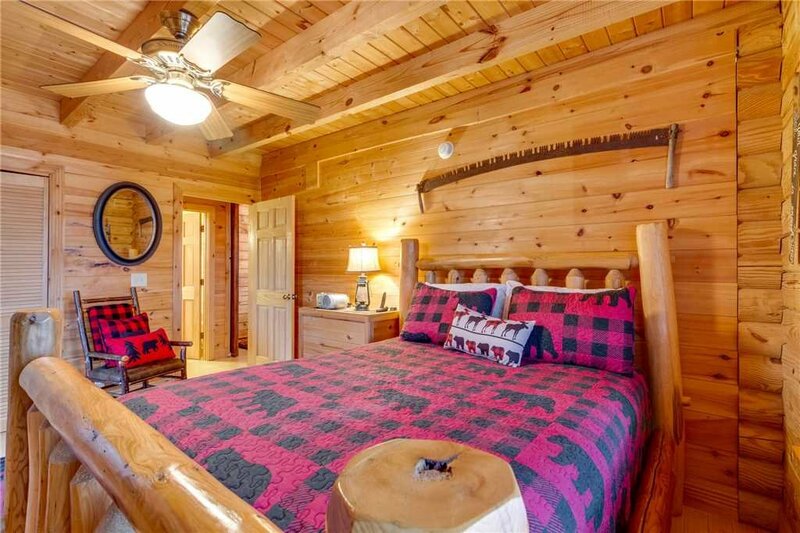 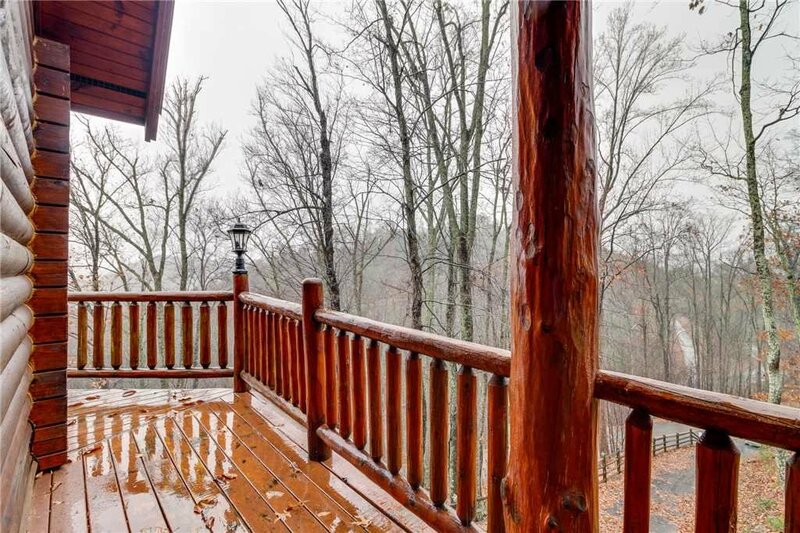 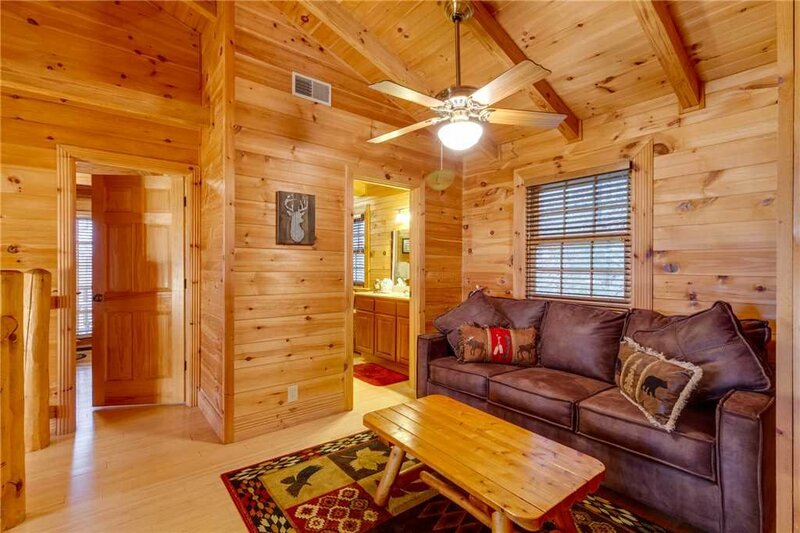 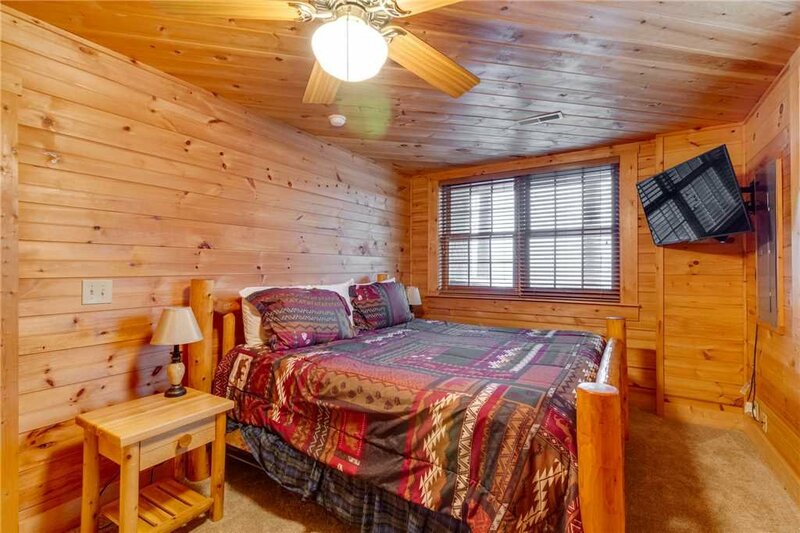 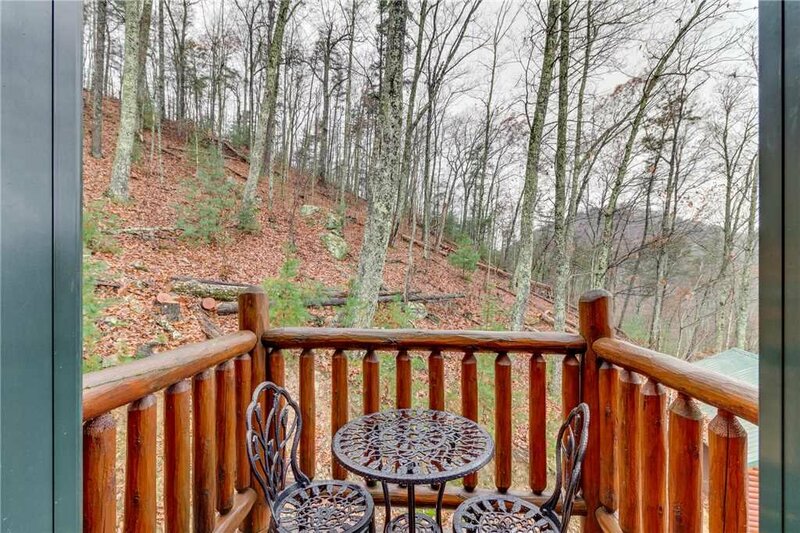 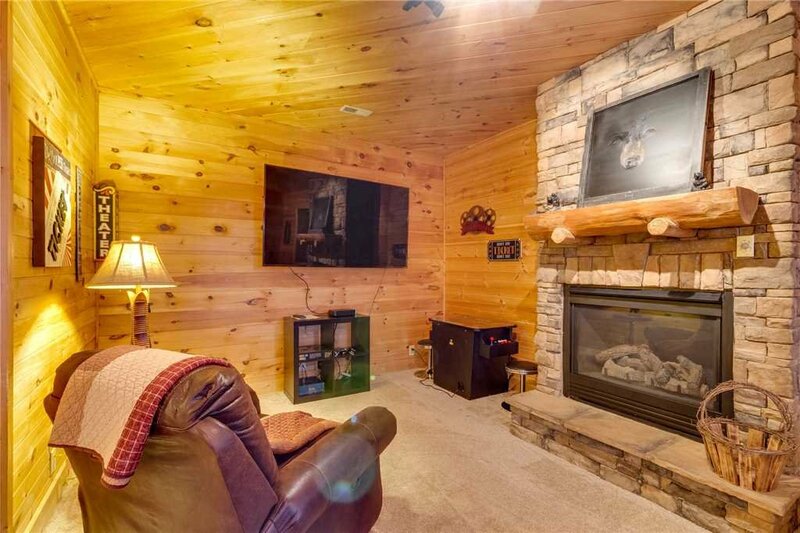 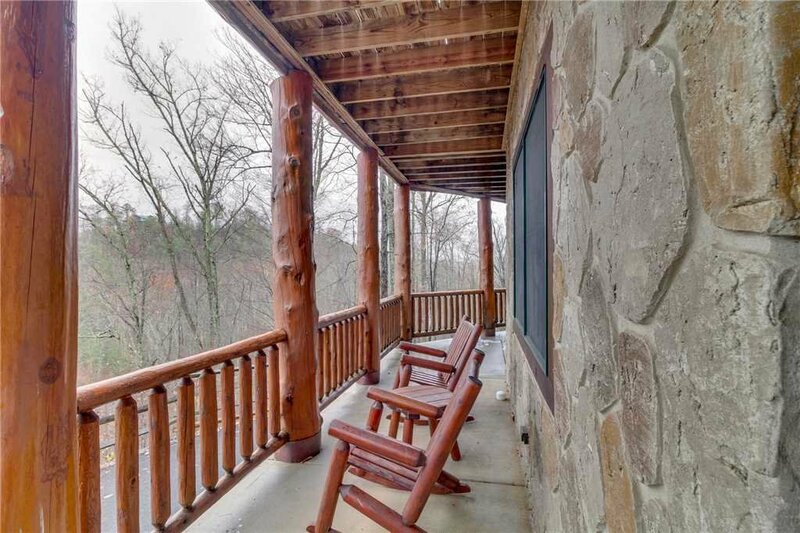 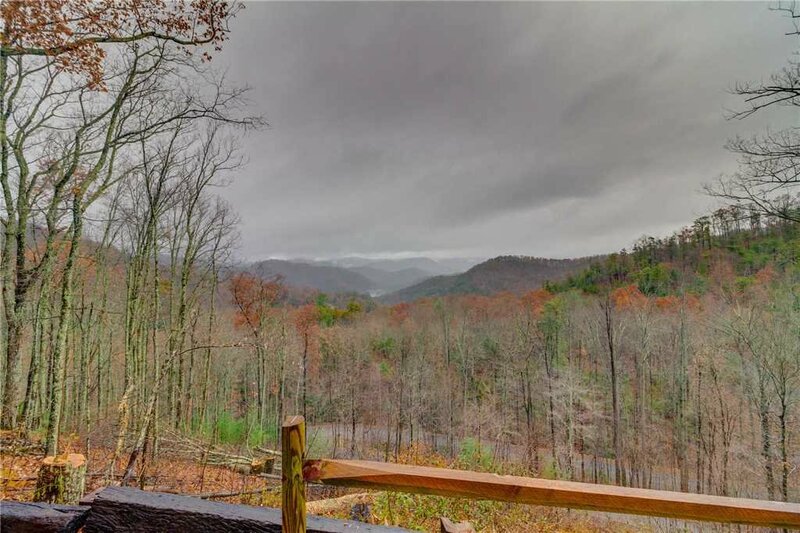 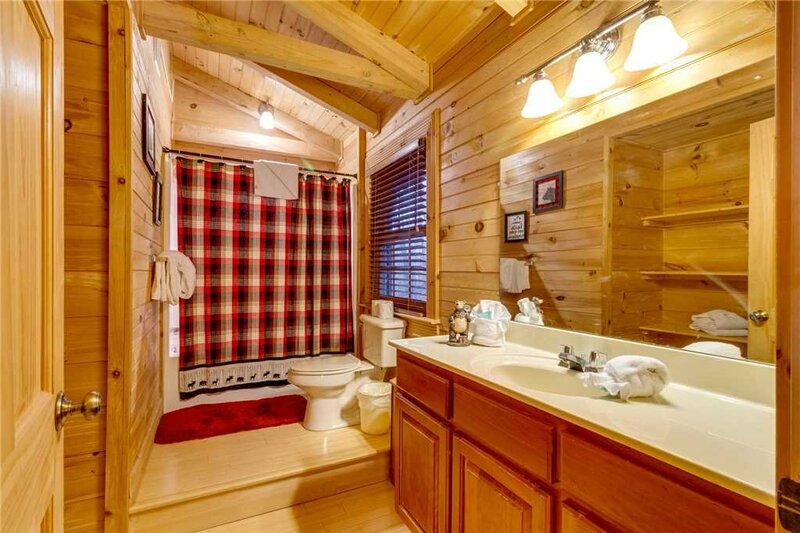 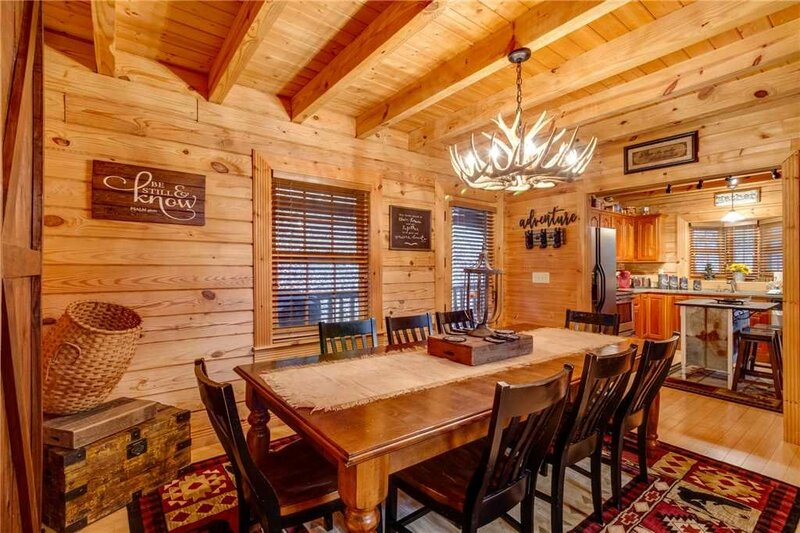 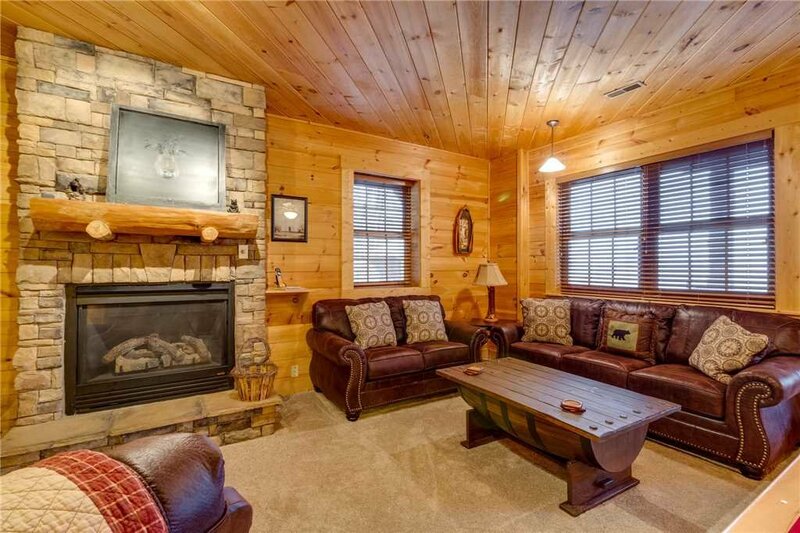 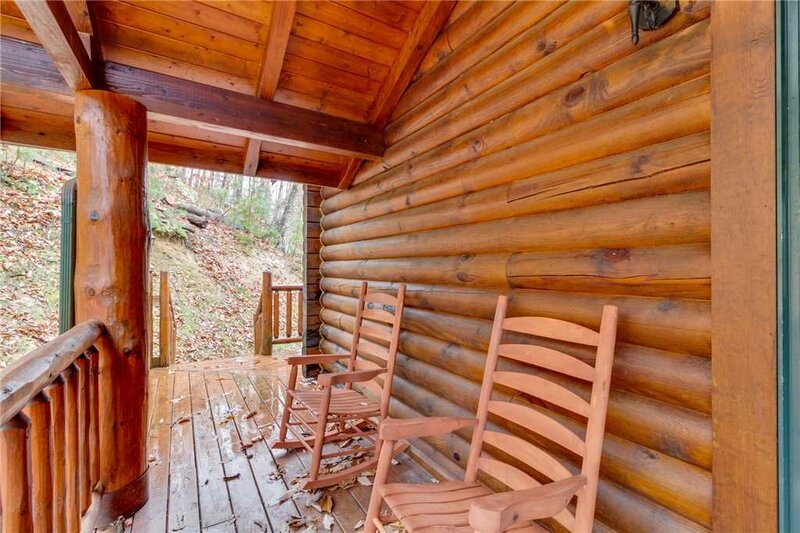 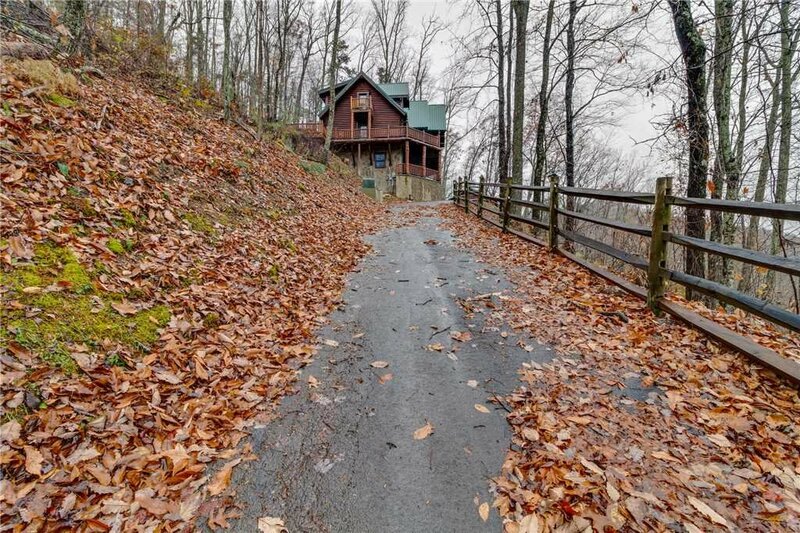 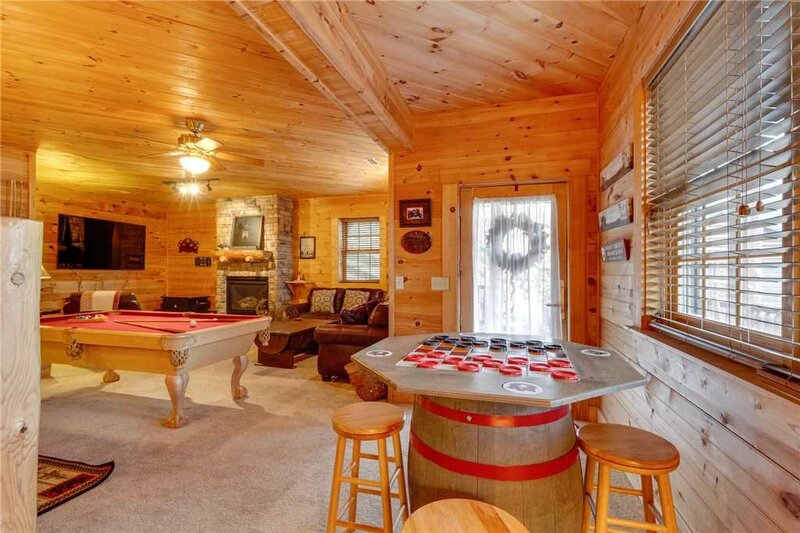 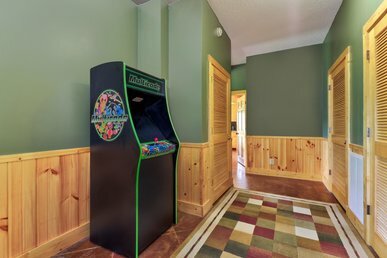 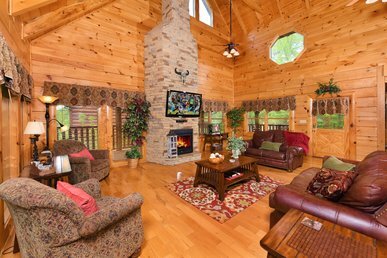 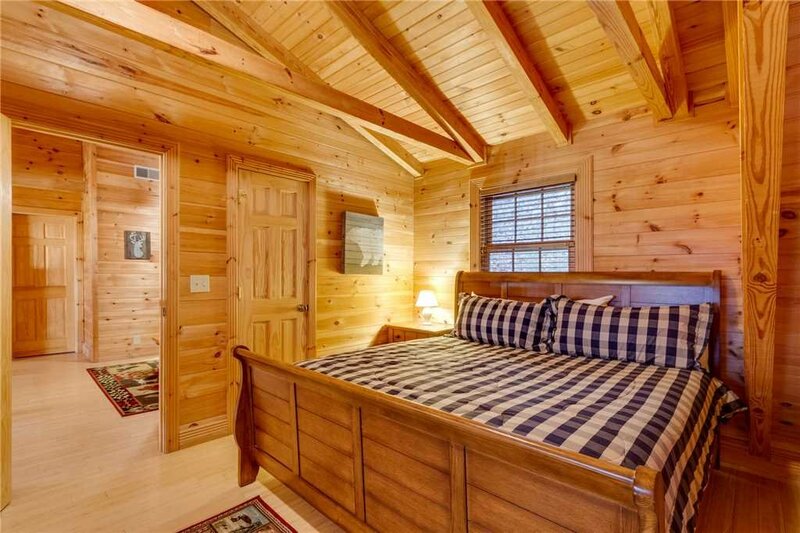 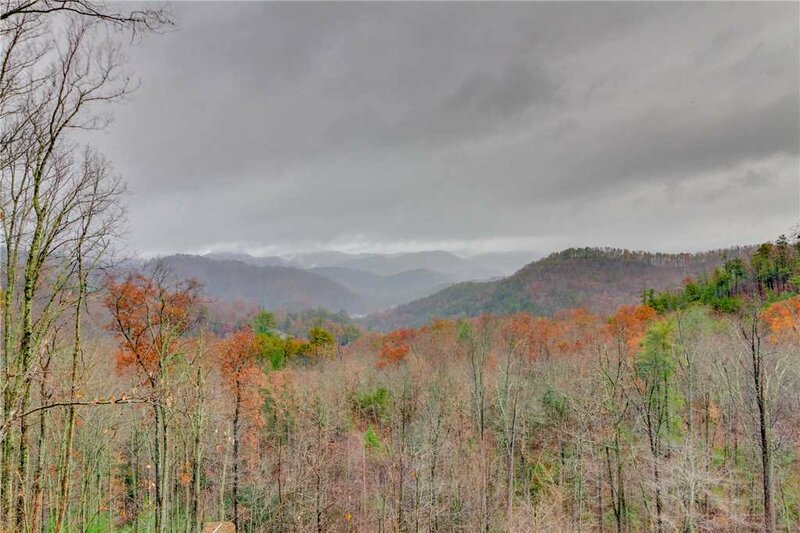 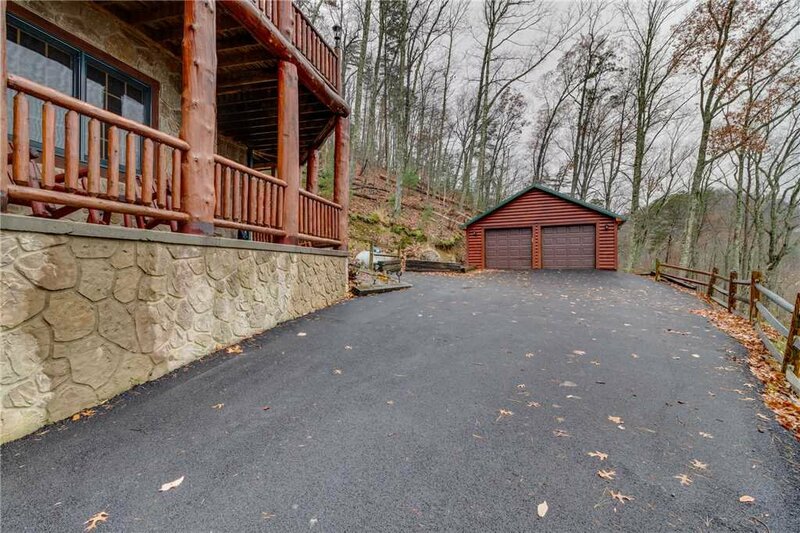 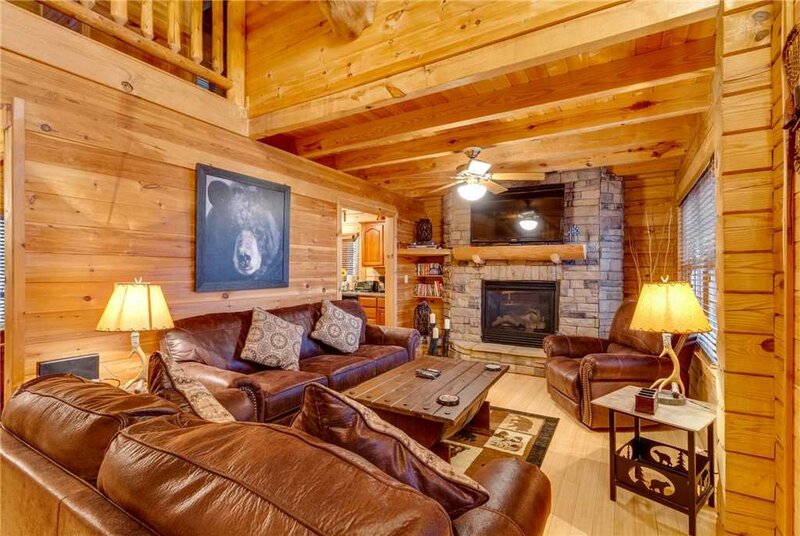 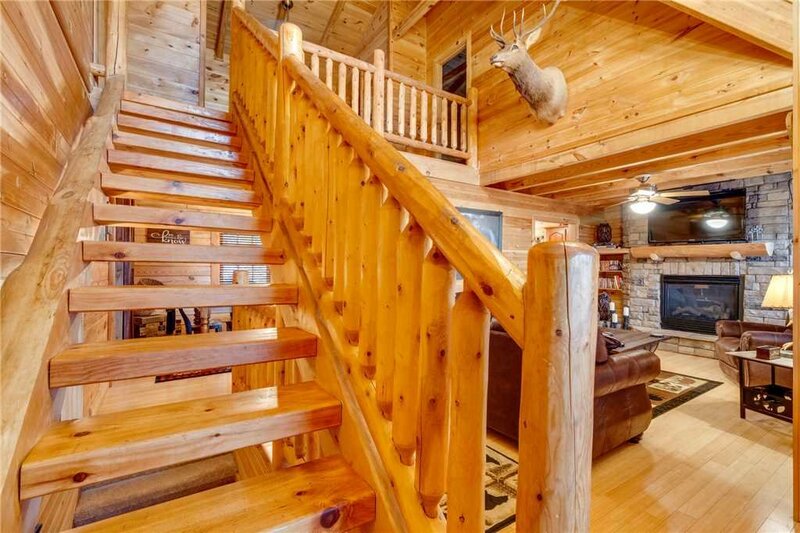 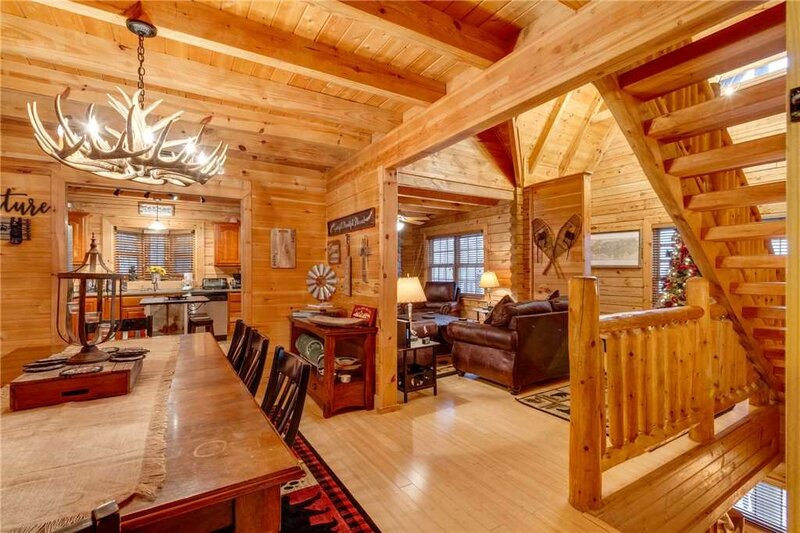 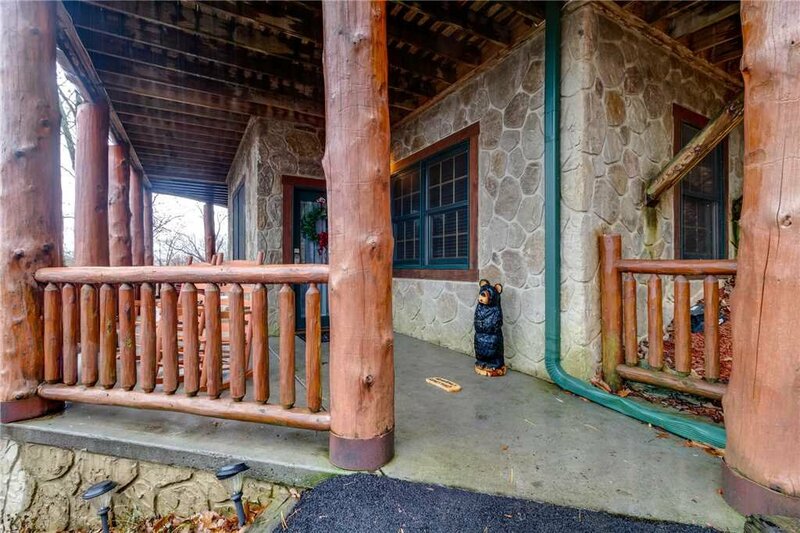 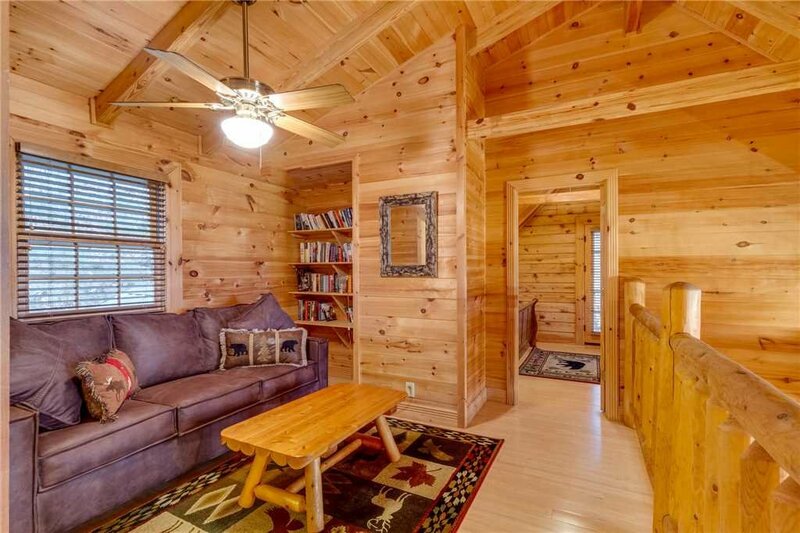 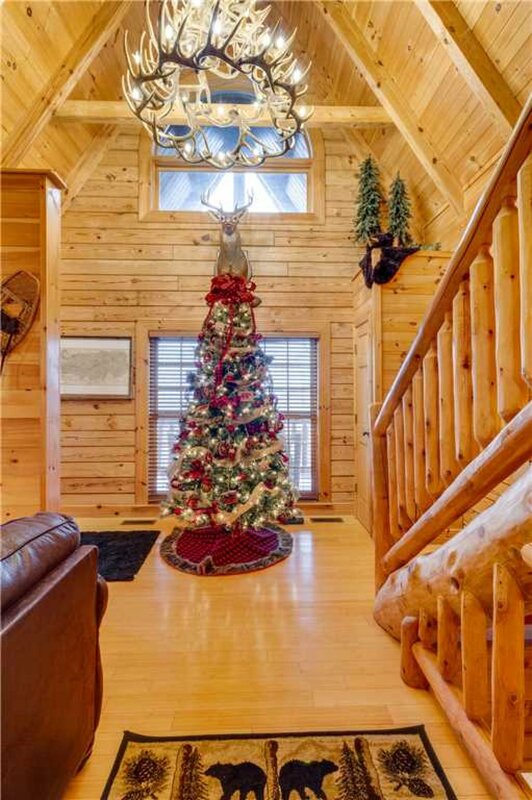 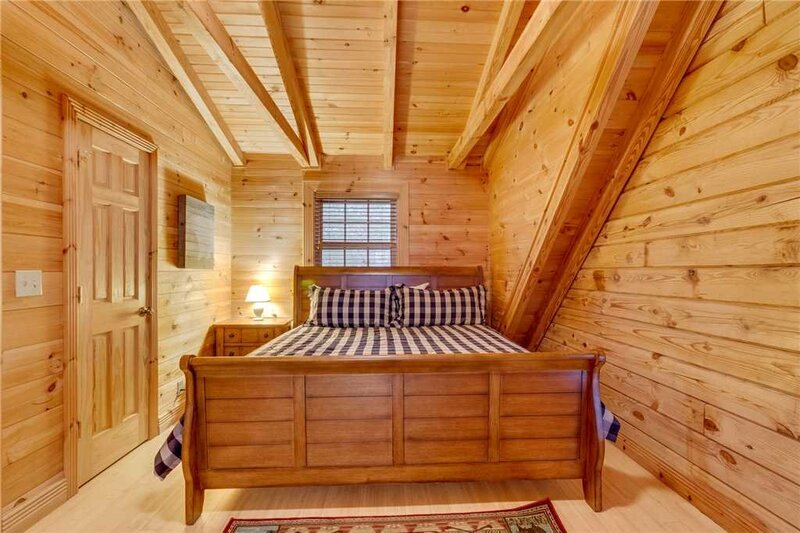 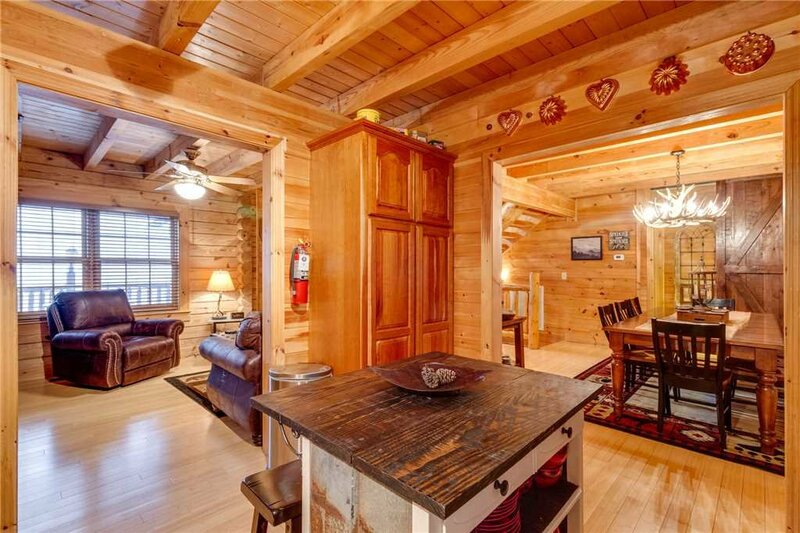 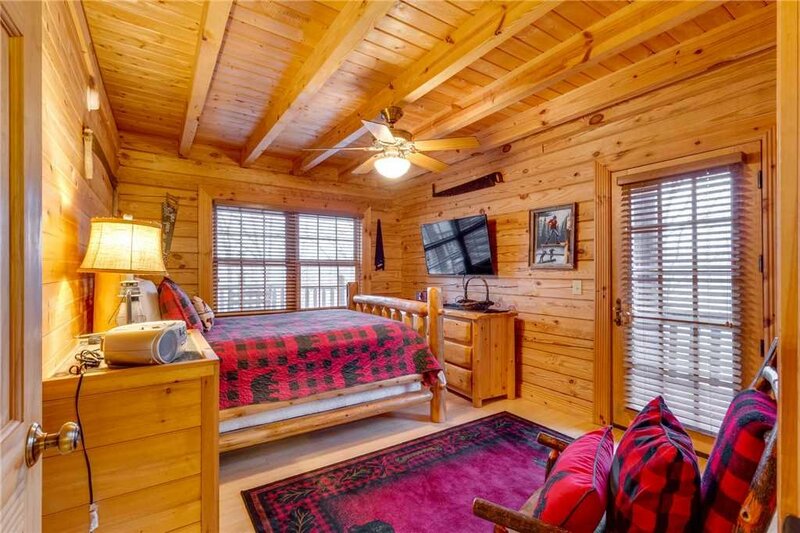 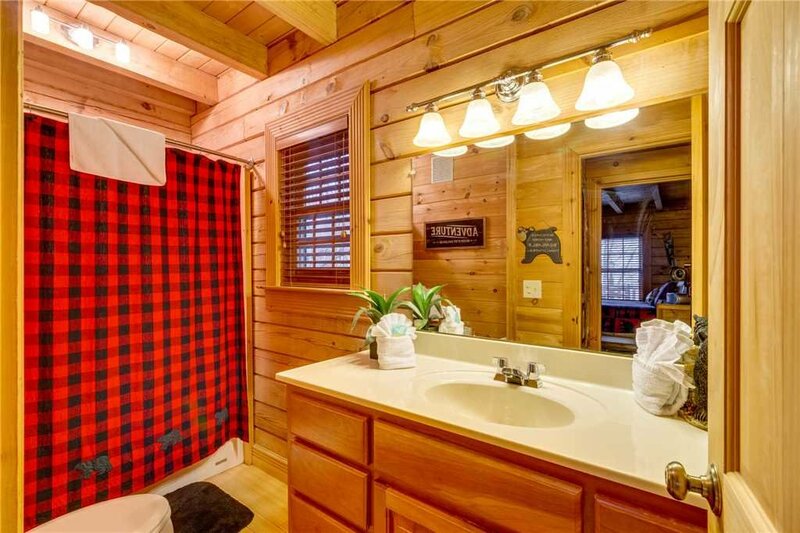 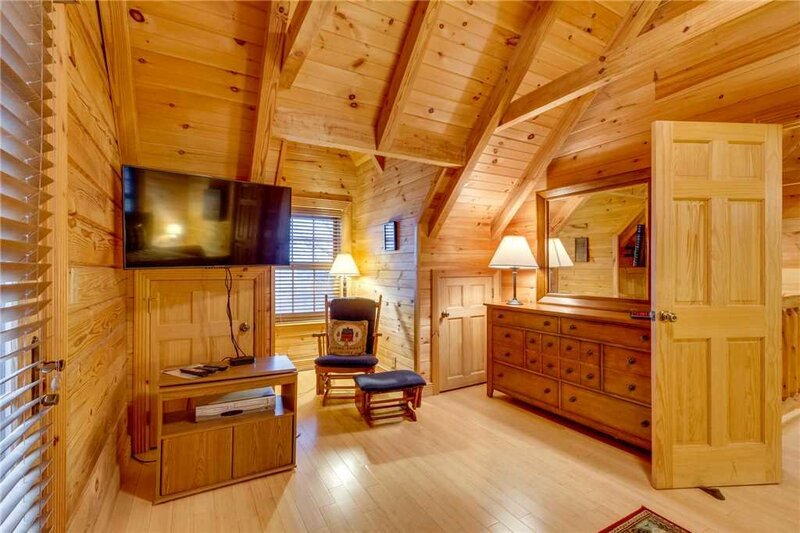 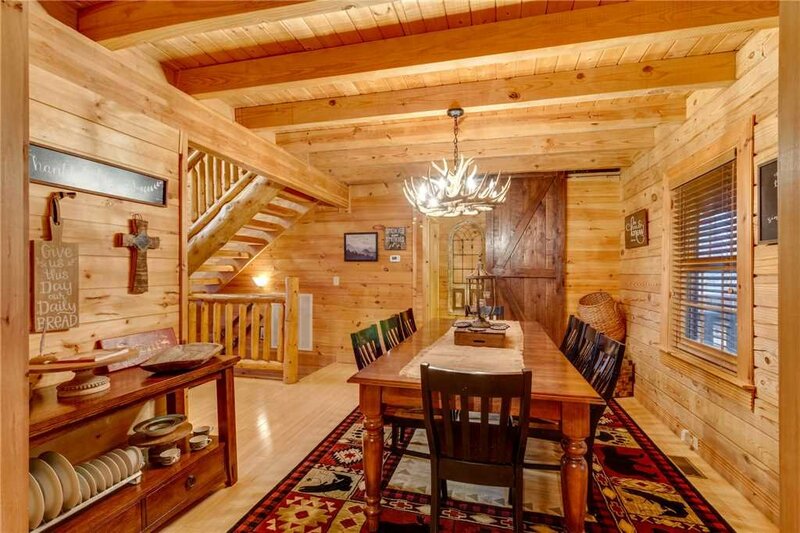 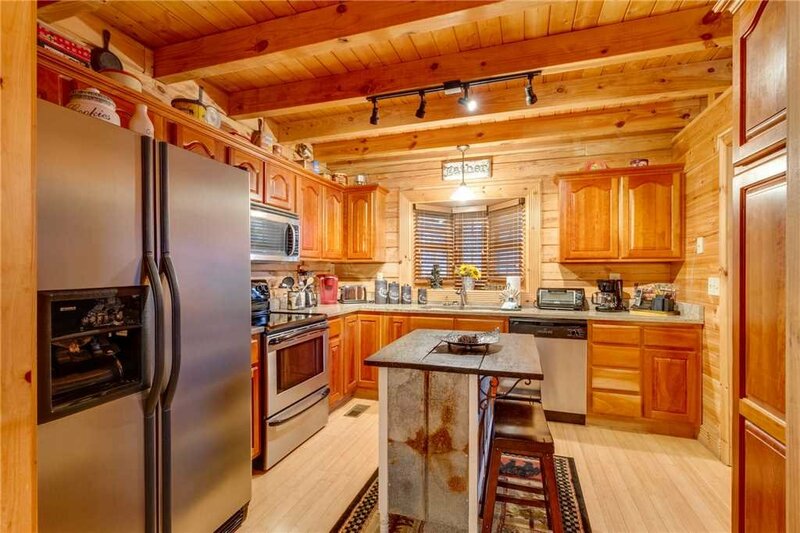 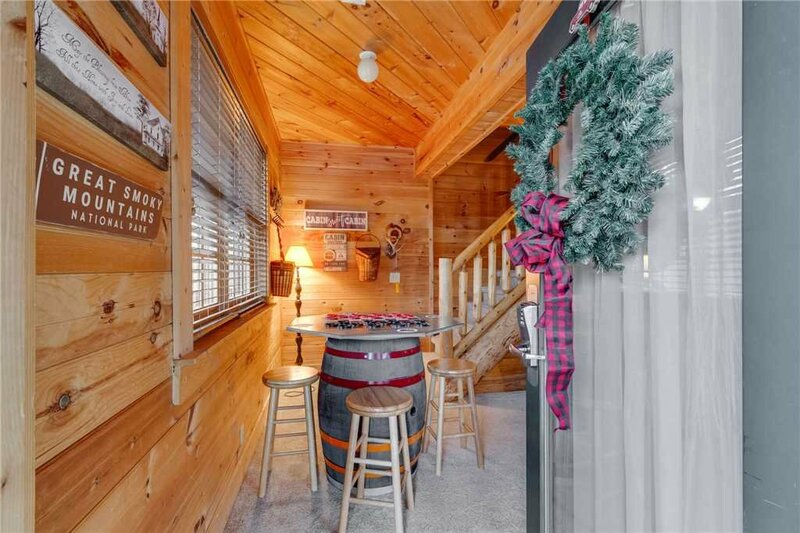 Located in the prestigious Homestead Estates, close to the newly opened Foothills Parkway in Wears Valley, Heavenly Homestead is a spacious, open concept, three level, authentic log cabin with tasteful décor that is sure to please. 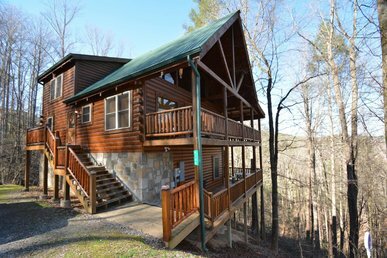 Magnificent views, wrap around double decks, plus two princess decks off upstairs bedrooms, make for a peaceful vacation. 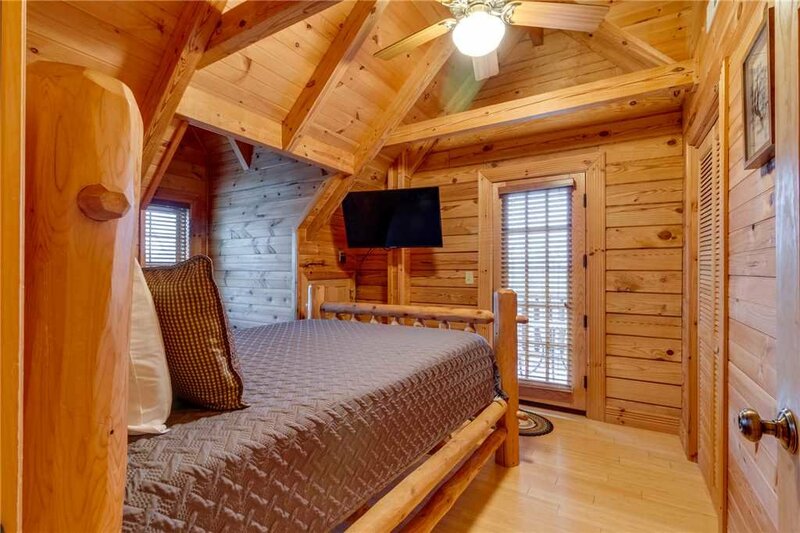 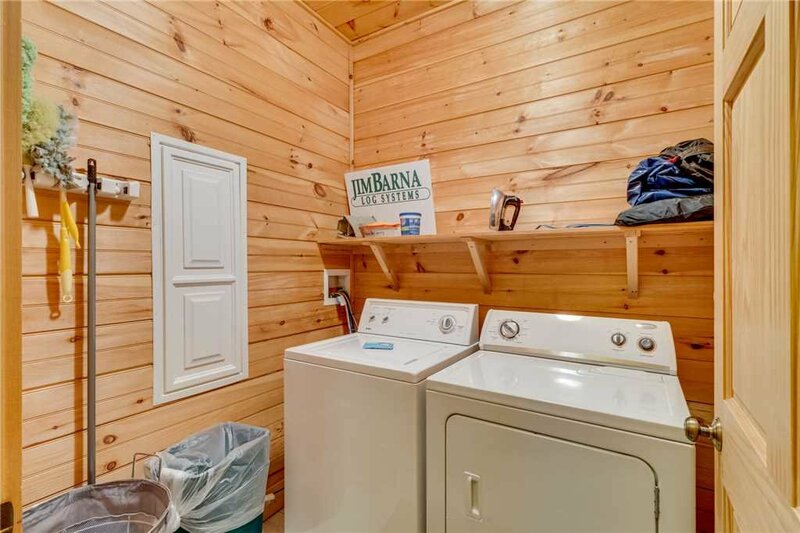 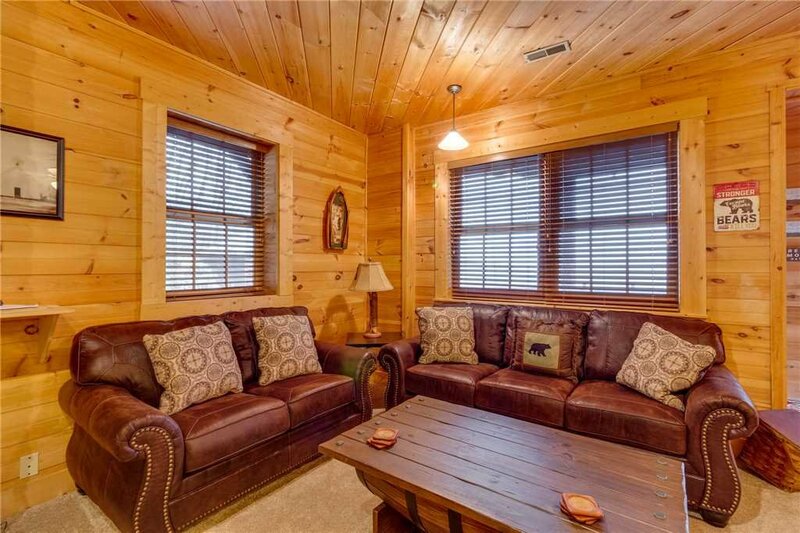 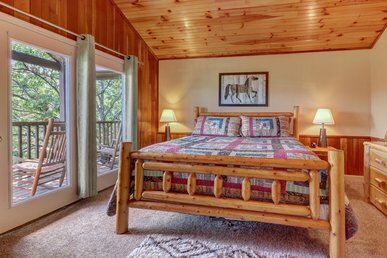 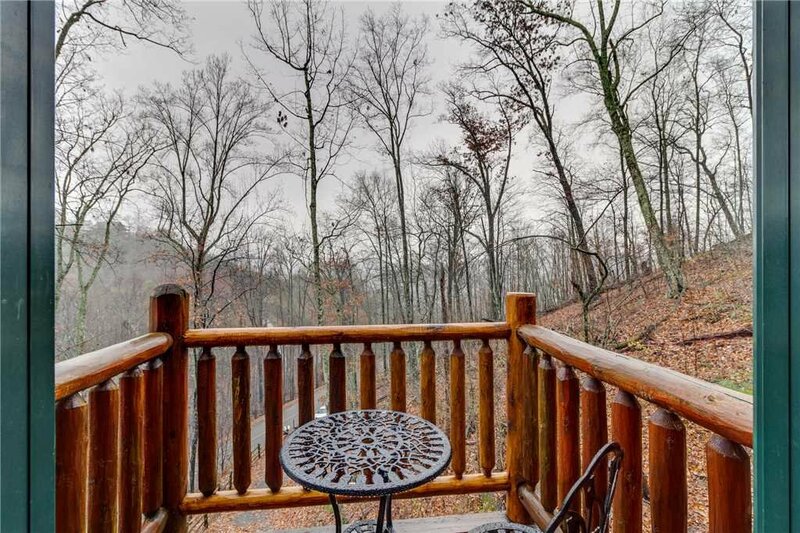 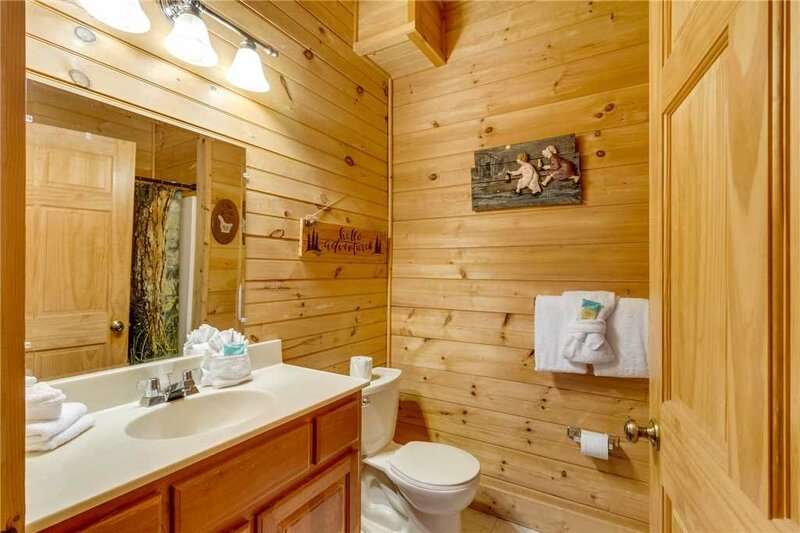 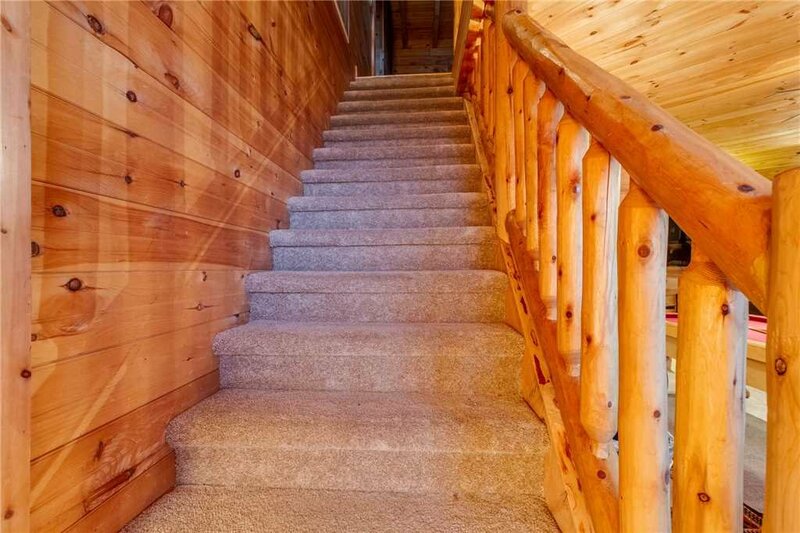 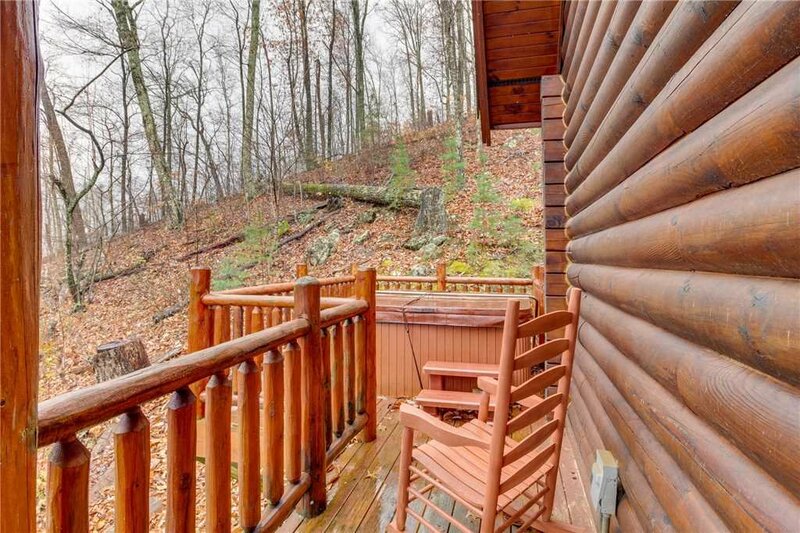 Away from the hustle and bustle, yet close enough for all attractions and amenities, this cabin is perfect for those seeking Mountain Views and solace. 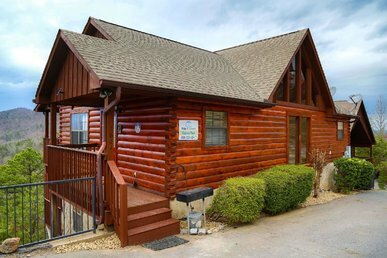 Also, minutes from the “Secret Metcalf Bottoms” entrance of the National Park allows you to skip the traffic and see nature at its finest, or get to Gatlinburg and Pigeon Forge without the traffic in just minutes. 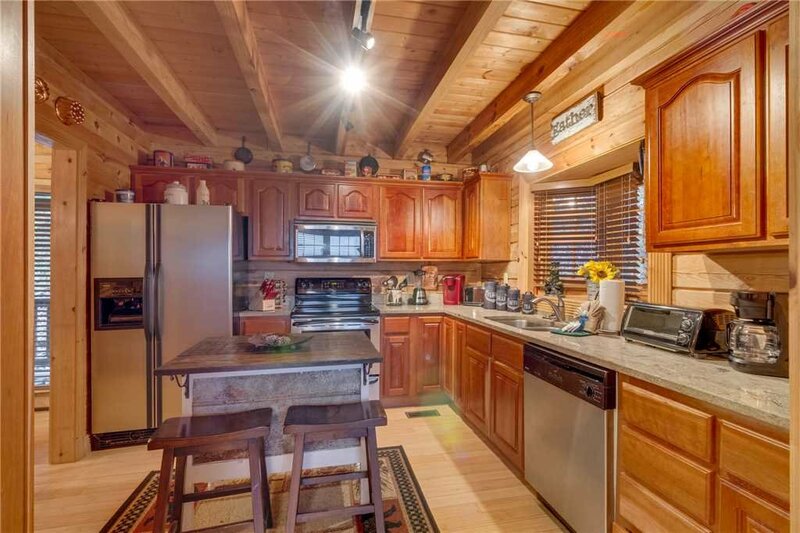 Families will find the seating for ten in the kitchen gives plenty of room for family dinners while the Keriug makes your specialty hot drinks on demand. 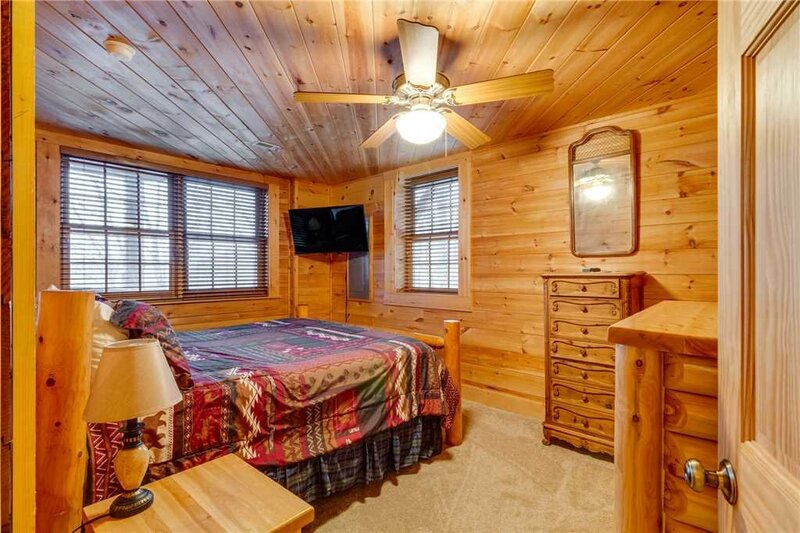 With bedrooms and bathrooms on every level, each with its own TV, convenience is at your fingertips.